Editor’s note: S&S is collaborating with the Harvard Environmental Economics Program (HEEP) to bring academic research findings to a broader audience. Writers at S&S are producing short summaries of discussion papers from HEEP and the Harvard Project on Climate Agreements (HPCA), streamlined for policymakers. As these summaries are published, they will be adapted and discussed here. When does pollution policy work? Is there a fail-safe formula that applies regardless of political, environmental, and public health context? In the economics research literature, there is now a substantial body of work documenting the efficacy of policies targeting pollution in the United States. But think about the relevant differences between the U.S. and a country like India: In the latter, health care quality is thought to be lower, ambient levels of pollution are known to be higher, and government institutions may or may not have the same level of effectiveness. Thus, studies of the U.S. context are likely not externally valid; a given level of pollution may be extremely detrimental to health in one country but not in another, and a given policy instrument may work wonders in one country but be totally unenforceable in another. That is precisely what motivates a paper like Michael Greenstone and Rema Hanna’s “Environmental Regulations, Air and Water Pollution, and Infant Mortality in India.” The implicit argument is, we should care about environmental policy in India because (a) pollution is alarmingly high there, and (b) the country’s population and growth rate suggest that its regulation of the environment is going to be extremely important to the achievement of climate change goals. But we cannot simply take policy lessons from the developed world and apply them like a band-aid to India. So what do Greenstone and Hanna do to try and shed some light on the efficacy of environmental policy in India? First, they do a lot of legwork (in some cases visiting government offices state-by-state) to collect data on pollution, policy, and health in India. Second, they exploit the phased rollout of three significant air and water pollution policies across Indian cities to statistically analyze the impacts in a credible way. And third, they discuss, qualitatively, the possible reasons for the variable policy success that they observe. What they find is inconsistent success among the policies considered. The two air pollution regulations – Supreme Court mandates to (a) develop citywide “action plans” and (b) fit catalytic converters to all cars – are both associated with significant improvements in ambient air quality. In complete contrast, estimates of the impacts of the National River Conservation Plan (NRCP) – an executive-branch policy designed to reduce domestic pollution into India’s rivers – reveal no consistent relationship whatsoever between the policy and water quality. Given particularly striking success of the catalytic converter mandate in reducing air pollution, the authors test whether that policy is associated with concomitant drops in infant mortality, but their results here are inconclusive. There are a few key lessons to take away from this study. It is clear from the success of the air pollution policies that environmental regulation can be effective even in countries with relatively low incomes and weak institutions. However, the inconsistency of policy success in this context shows that effective regulation is neither totally futile nor a sure thing. It really does matter how such policies are designed, implemented, and enforced. The policies studied here differ widely in their institutional source, their environmental target, and their implementing bodies. It is also worth noting that significant improvements here in environmental quality do not guarantee significant improvements in public health. Infant mortality, and health more generally, is not the only benefit of environmental protection. But it is one key component in a full cost-benefit analysis, which is not done in this study (as the authors are the first to note), but which would provide a truer sense of the ultimate effectiveness of these policies. A “summary for policymakers” of the Greenstone and Hanna discussion paper is available here; the full discussion paper can be viewed here. 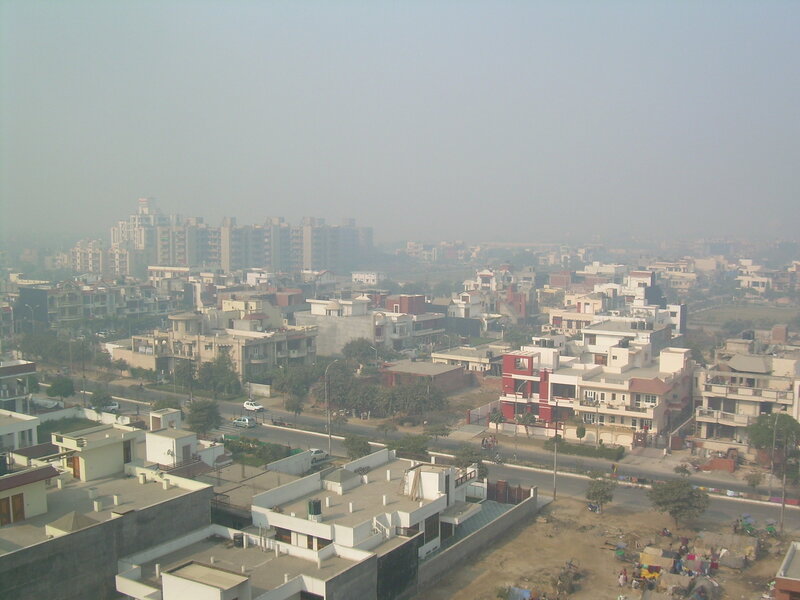 Image courtesy of Onewhohelps via Wikimedia Commons depicting a view of New Delhi.